Portable Steam Sauna - We Answer All Your Questions! What Types of Health Benefits Can I Expect from a Sauna? What Exactly is the Right Way to Sauna? How does a Portable Steam Sauna Work? How do I Fold a Portable Steam Sauna? How do I Clean a Portable Steam Sauna? Where Would I Buy a Portable Steam Sauna? What is the Best Portable Steam Sauna? Virtually everyone is interested in looking and feeling healthier; however there is only so much that topical creams, bath additives and weight loss supplements can provide. If you are looking for a way to eliminate impurities from your body, help with weight loss and generally make you feel more relaxed and refreshed, then a portable steam sauna can definitely help. Of course, steam saunas have been around for at least 2000 years, and the Romans certainly understood just how good they were. But just what is a sauna? 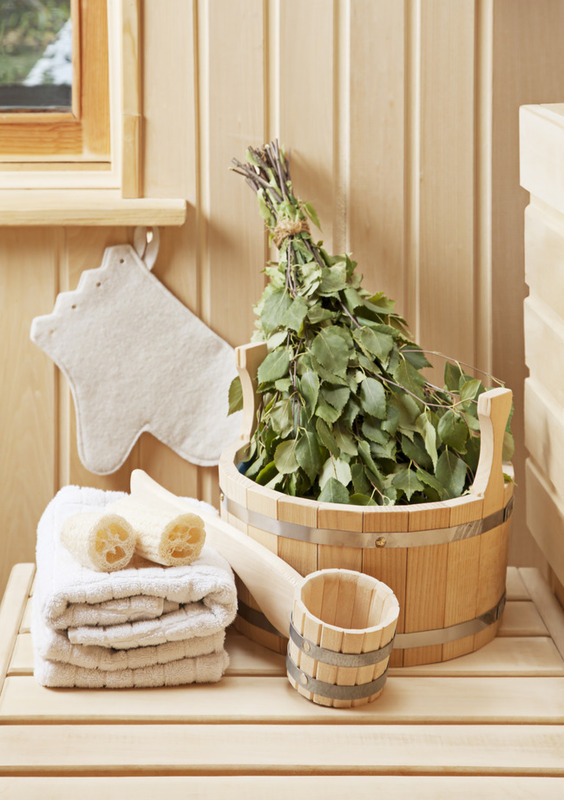 If you’re not already versed on the subject, a sauna is a small room filled with either dry or humid heat. You sit inside for a bit until you start to sweat, and then remain there for a period of time until the cleansing process is completed. Studies point to a number of perks potentially gained from a portable steam sauna, not the least of which would be stress relief. Much like soaking in a hot tub or even a warm bubble bath, the heat relaxes you and makes you smile. Step inside, close the door, and you’re enveloped in a cloud of warmth with the power to magically block the outside world. Medical experts readily admit lowering mental stress alone helps ward off plenty of health issues but the benefits don’t seem to end there. Aids in Relaxation: In addition to mental and emotional stress management, portable steam saunas also bring about muscle relaxation. Once physical tension melts away, your muscles are able to more easily heal from a long day at work, a strenuous workout or even the pain of arthritis and other conditions. Promotes Better Circulation: Extreme heat generated by a sauna causes blood vessels to dilate, paving the way for improved circulation. When your blood flows more freely, it allows your entire body to regenerate by producing healthy new cells. You could experience mental benefits, such as greater concentration and clarity. The difference will also be evident in the look of your skin by way of a healthier rosy glow. If you suffer from poor circulation to begin with, you might notice improvements in the way your hands and feet feel, like less tingling and numbness as well as a reduction in the common stiff joints and cold-to-the-touch sensations. Builds Immunity: You’re probably well aware of how well steam clears your sinuses and sometimes helps alleviate respiratory issues. When it comes to fighting off illnesses, saunas reach far beyond those points. Research indicates high levels of heat aid in the production of white blood cells, thereby boosting your immune system. Raises Heart Rate: At normal resting status, the human heart pumps blood at about 60 to 70 beats per minute. During a sauna, this jumps to 110 bpm or more; afterward, it drops back to normal. Much like exercise, the process helps strengthen cardiac muscle for the long-term. Helps with Weight Loss: A certain amount of controversy and skepticism surrounds this potential aspect, but there’s a degree of science behind the claim. With any form of exercise, one of your primary goals is to increase your heart rate and keep it there for an extended amount of time. As mentioned before, the sauna generates this effect. In turn, you’ll burn additional calories. Most people can expect to blaze through about 300 calories during a sauna, which is the equivalent of a brisk hour-and-a-half walk for a 150-pound individual. Leads to Clearer Skin: Our skin is subjected to more than we tend to realize over the course of a day. Dirt and debris from our surroundings alone can cause irritation. At the same time, oil, dead skin cells and makeup or moisturizer residue builds up in our pores. Blemishes ensue but sweating helps clear out pores, improving the texture and appearance of your skin. Heat has also been said to promote collagen and elastin production, a key element in erasing fine lines, wrinkles and sagging. Removes Toxins: We’re bombarded by thousands of chemicals every day from our foods, drinks and even the air around us. Known as free radicals, these harmful agents cause us to age more rapidly, feel sluggish and can even lead to cancer in some cases. Saunas allow the body to push all those elements to the surface of the skin and flush them out via deep, extensive sweating. Once those toxins are eliminated, you’re likely to notice heightened energy levels, improved mood and possibly even greater success in your weight loss efforts. Experts note reaping all these benefits in their entirety requires doing the sauna the right way. It’s not a once-in-a-while undertaking; instead, it’s a methodical process. While this isn’t necessarily a bad thing, it does take a certain level of commitment. First off, temperature is a critical factor. Internal temperatures in steam saunas should fall into the 90 to 120 degrees Fahrenheit range. Frequency is also essential; in fact, you need to sauna daily in order to maximize the benefits. At the same time, it’s not an in-and-out jaunt, either. Experts suggest remaining in the sauna for about five minutes if you’re a beginner but you could take in the heat for as long as 20 minutes per round. This should be followed by a cool-down period. Though the Finnish, who are credited with the sauna’s invention, make a habit of rolling around in the snow at this point, a cool shower or a few minutes in the air conditioning will easily suffice. Once you stop sweating, it’s time to head back into the sauna. This process should be repeated at least three times. If you’re forced to visit a local gym or spa for your daily sauna sessions, you could be looking at quite a time-consuming venture. Having your own private sauna at home tends to be much less stressful. Still, few have the budget and spare space needed to have one built at home. Enter the portable sauna. Like their larger stationary counterparts, portable steam saunas are enclosed spaces where intense heat builds. They typically plug into a conventional electrical outlet. Steam is generated via a water reservoir. Most models offer fast, easy setup and simply fold away when not in use or if you need to take them along with you when you’re traveling. Steam sauna portable models vary slightly but setup and folding are usually fairly easy processes. Once taken out of their carrying cases, most spring to life almost on their own. When the time comes to pack it away, you’d most likely begin by tipping it over onto one side. Much like a collapsible laundry basket or hunting blind, just push inward on a corner and press the assembly flat. From that point, start from one corner and continue folding it in on itself until small enough to fit it its case. These are general instructions; those for the specific model you choose may be a bit different. Some portable sauna tents are actually machine washable with air drying recommended. Manufacturers of other models suggest wiping the tent or canopy down with a mixture of rubbing alcohol and water. A number of off-the-shelf cleaners are available as well, some of which contain tea tree oil or citrus extract for their antibacterial and antifungal properties. Accompanying water reservoirs and steam generators can be cleaned and sanitized with these same solutions. Again, the exact cleaning process would depend on the personal steam sauna you purchase. Manufactured by Body Spa, this version offers openings for your head and hands so you can read a book or watch TV while you’re inside. Though you’d need to stand up during your sauna to use this feature, you could also choose to sit. At less than $100 base price, it’s one of the less expensive portable steam saunas you’ll find. Its back panel stands 42 inches tall, tapering down to 40 inches at the front. Specifications list its width and depth as 25 by 31 inches. Essentially, this version takes up about the same amount of space as an armchair. While no temperature ranges are listed for this product, users insist it gets plenty hot enough to get the job done. Durherm’s answer to the personal steam sauna market is made of a sturdier quilted material than the previously-mentioned option. It’s slightly larger at 43 inches in height and 28 by 33 inches in width. This is a sit-down model but seating isn’t included with your purchase. Manufacturers suggest using a plastic lawn chair or small stool. The accompanying steam machine generates temperatures of up to 113 degrees Fahrenheit so it falls well within the suggested steam sauna heat range. Since this unit plugs into a standard 110 Volt outlet, there’s no need for special hookup or power converter. Still hovering in the near-$100 price range, this personal steam room measures 29 inches wide by 27 ½ inches deep and 38 inches tall. No exact temperature specifications are given, but current owners seem to have no complaints in this regard. It needs only a 120 Volt electrical outlet to get the sweat going, and features an opening for your head as well as zip-up slots for optional hands-out use. 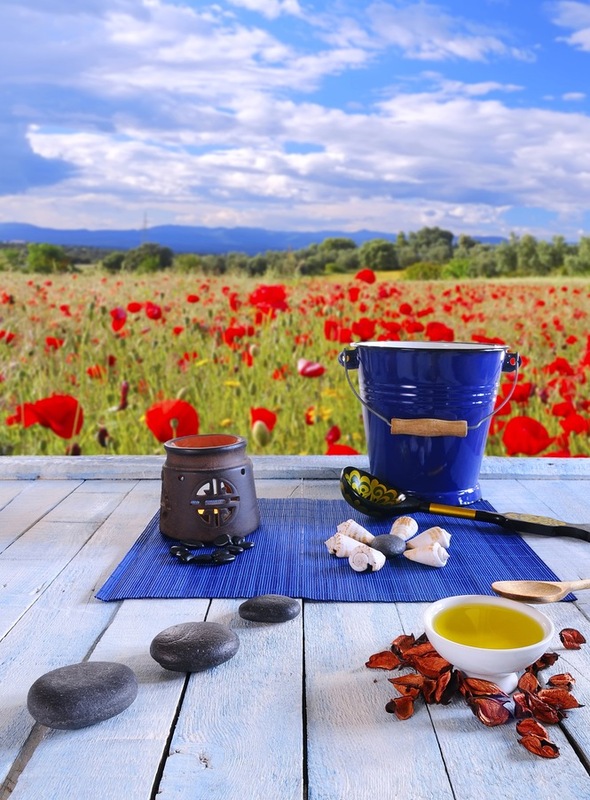 Although you can add herbs to any portable sauna’s water reservoir to meet your own aromatherapy preferences, a number of users complain doing so makes cleanup a bit more difficult. This product’s manufacturers planned for such an issue in advance. They’ve added an herb box to their design to make the process easier. A handy folding chair is included with purchase. Radiant Saunas’ offering is a bit more expensive than previous notables on the list but it also comes with a few extra features. The unit itself is made of triple-layer insulated material to keep the heat inside with you. Again, openings are available for your head and hands but you can sit on the floor of the sauna if desired. Its built-in frame is sturdier, as well. As opposed to a steam generator, Radiant Saunas has built far infrared heating panels into this particular model. Suggested heat levels for infrared saunas are comparable to those of steam versions and this one has a maximum heat setting of 150 degrees. It comes with five levels of temperature settings so you can adjust the heat to your own tolerance using the unit’s remote control. Like the others, it runs off a 120 Volt outlet. Of the choices mentioned, this one is the most costly at more than $400. It uses far infrared technology for heat with a generating panel in the back and one on each side designed to absorb and reflect warmth. Despite being an infrared model, Gizmo Supply Company’s personal portable sauna also comes with a steam pot. Six heat settings are available to choose from and it tops out at 150 degrees. It plugs into your standard household outlet, and won’t damage your flooring. This model’s dimensions are 27 x 38 x 32 inches. Each of these models of portable steam sauna is available through Amazon. All require nothing more than a conventional 110 to 120 Volt electrical outlet. Their sizes are fairly comparable, taking up less than three feet in width and little more than two feet in depth for the largest variety. Well, the answer to this question depends on your needs and preferences as well as your budget. Portable saunas are available from around $100 up into the thousands-of-dollars range. While you might find larger, more powerful options than the ones mentioned here, those typically exceed the limitations of standard electrical outlets. This could restrict your freedom where placement is concerned or even require you to have an extra 220 Volt outlet installed. The dominating differences between portable saunas are the types of heat being produced. Steam sauna portable units generate a luxuriously engulfing cloudy embrace whereas infrared models provide a steady dry heat. Critics and health experts seem to feel the benefits are the same regardless. In the event you prefer the calming, soothing effects of moisture-ridden warmth, a steam sauna would be the best option for you. If you’ve ever visited the southeastern portion of the nation during summertime and didn’t care for it, the infrared variety might be your best bet. It’s a really a matter of choice. 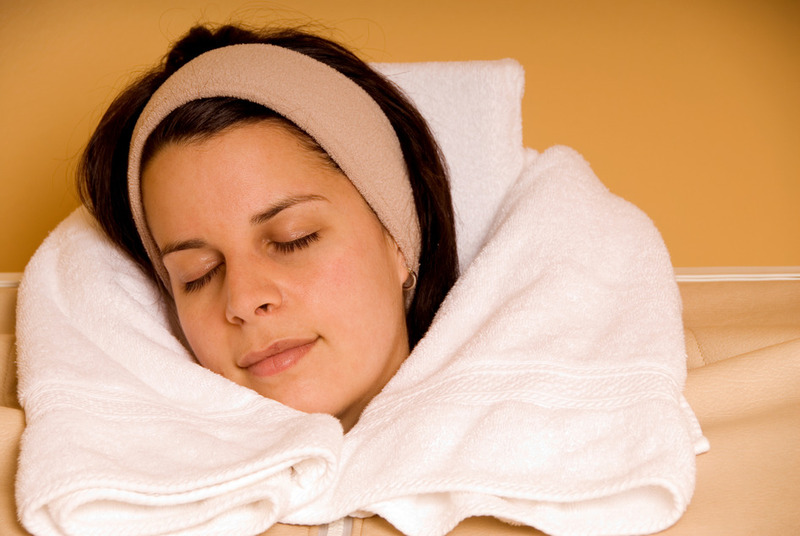 Portable steam saunas have been found to promote emotional and physical health. They generate overall well-being from the inside out just as nature seems to have intended. Since those at spas and gyms aren’t always convenient and large-scale home models take a toll on the wallet, portable versions are the chosen alternative for a number of people. Body Spa’s personal steam sauna is the least expensive on the list as well as the lightest and easiest to set up and take down. Though it produces heat as it should, its makeup isn’t quite as hardy as the other models. Durherm brings somewhat sturdier construction into the low end of the pricing spectrum, but doesn’t provide a seat for more versatile comfort. Steam Sauna Room’s SS01-R2 model offers extra stability, and comes with its own chair as well as an herb box for easier cleanup following aromatherapy sessions. At this point, far infrared technology comes into play with a portable steam sauna. Dry heat produced by infrared elements warms your body directly rather than indirectly via the air around you. While you’ll pay more for portable saunas using radiant heating, Radiant Saunas’ contribution to this genre is the less expensive of the two far infrared models on the list and is definitely worth considering. Gizmo Supply Company finishes off the list and tops the price gamut. Where other models are concerned, difficulties in the takedown process are said to swell with sturdier construction. This particular far infrared portable sauna seems to be the exception to the rule. In short, first consider whether you’d like dry or moist heat when considering a portable steam sauna. From that point, look at your available space. If you plan to leave your portable sauna standing like most owners do, any of the three mid-range models would serve you well. On the other hand, if you’re going to take it down after each use, you may want to turn to Body Spa or Gizmo Supply. This entry was posted in Portable Spas and Saunas on July 7, 2018 by Luke.